For any of you who haven't noticed, Coach Monica has been posting some really fun weekly videos to keep you inspired and entertained as you travel along your path to a healthier lifestyle. Today Monica takes you to her backyard to eat some seriously bizarre foods that you just might end up wanting to put on your own grocery list this week. Enjoy the video and then let her know what you think... would you eat it?!? 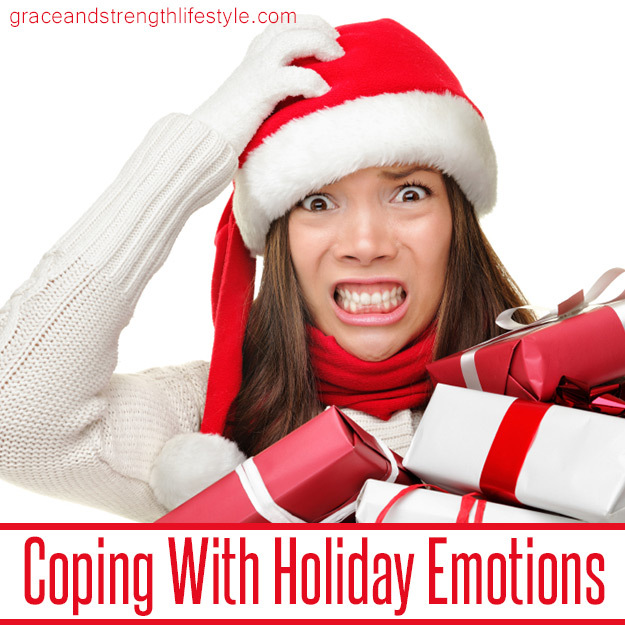 Coping With Holiday Emotions. Ah, the holidays. It's the most wonderful time of the year, or so the song goes. Christmas is to be a time of joy and reflection, but for many, this time can also open up many wounds and feelings of sadness, unmet expectations, stresses, and pressures that can rob us of the healthy decisions we've made over the last year. Video Interview with Grace and Strength Lifestyle Coach Anna Kenoyer. In today's post, we're sharing a video interview with Grace and Strength Lifestyle Coach Anna Kenoyer. Anna was the first weight loss coach to join Cyndi's team. She has played a vital role in the life-changing process for many of the ladies who have made the Grace and Strength Lifestyle journey to freedom. You'll be inspired and encouraged for sure as you hear Anna talk about her experiences with our program. 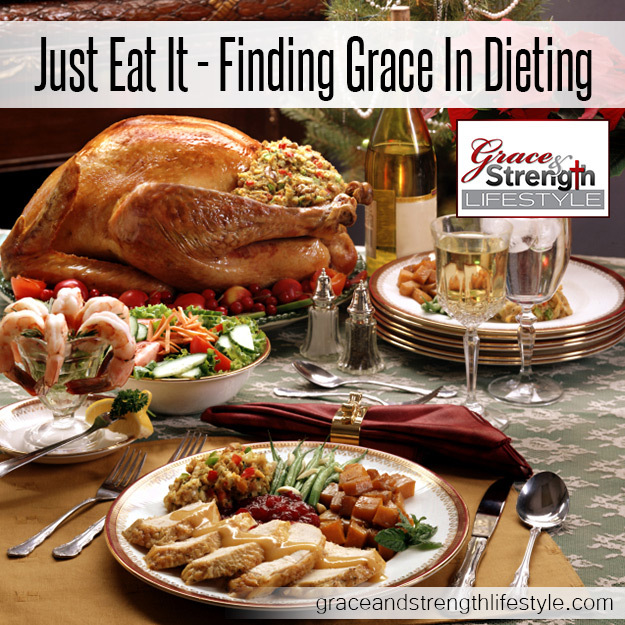 Just Eat It - Finding Grace In Dieting. Something tells me that when Weird Al reworked Michael Jackson's hit song into the the "Eat It" parody, he never in a million years imagined that we'd be borrowing the chorus line For a Christian Blog Post about dieting. After all, most of us reading this post have at one time or another fully embraced the "Just Eat It" philosophy. We did like the Cap'n Crunch and Raisin Bran. We got our dessert because we finished our plate. For most Americans, there is probably not any time of the year that is busier than the holiday season. Getting the house ready for guests, traveling to visit far away family in distant lands, and the never ending trips to stores of all kinds can leave us feeling like underpaid taxi drivers. 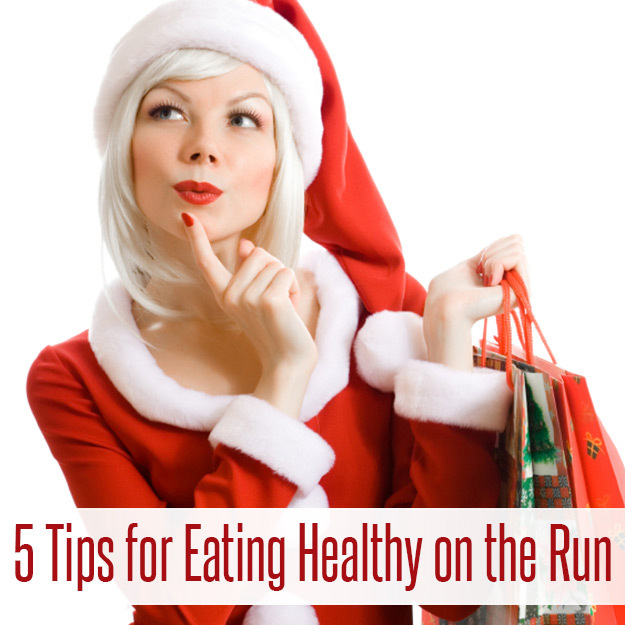 Since most of the activities we find ourselves immersed in during the holidays aren't going to change any time soon, it makes eating on the run pretty much unavoidable from time to time during this season.